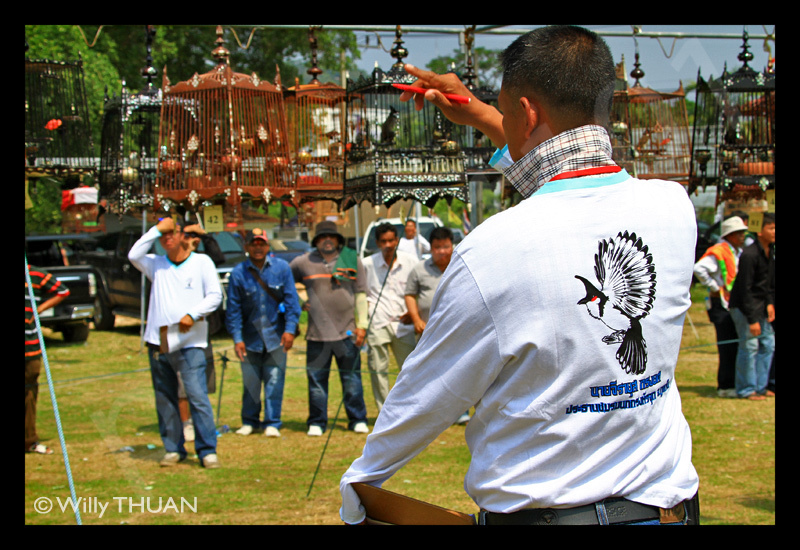 For long time I meant to stop at one of these mysterious bird competitions held in Phuket Town on Sunday mornings. All these men shouting and gesticulating in direction of a hundred tiny wooden cages. What is all the fuss about? 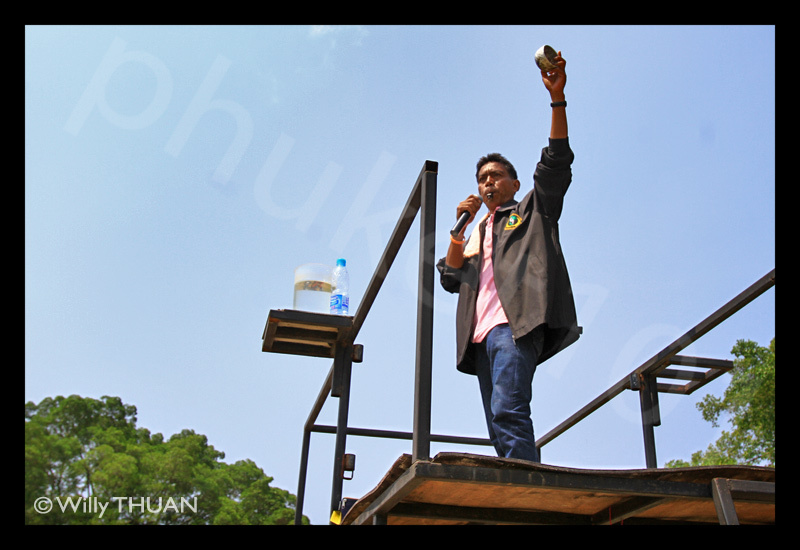 I saw these events in Vietnam and even in China, but until now, I never took the time to get some answers. 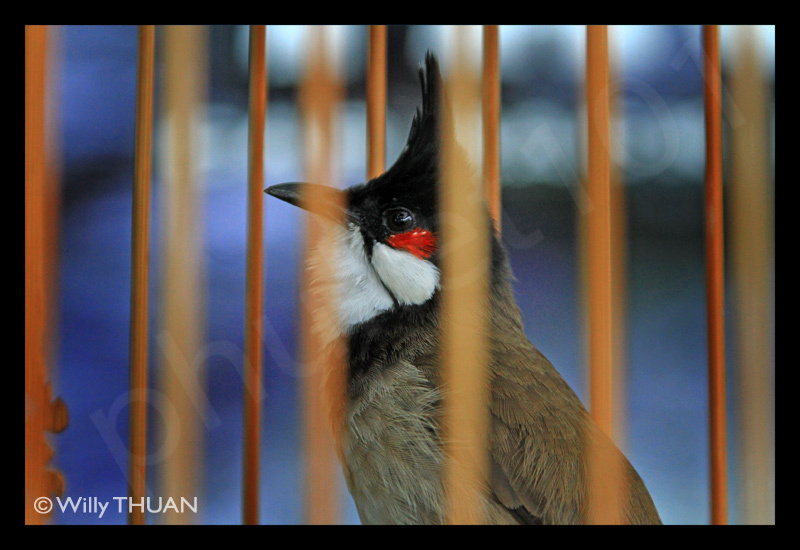 There can be different competitions involving different birds, but that day was dedicated to the tiny but highly popular red-whiskered bulbul. This is serious business, not so much about the poetic beauty of a bird song: big money is involved. 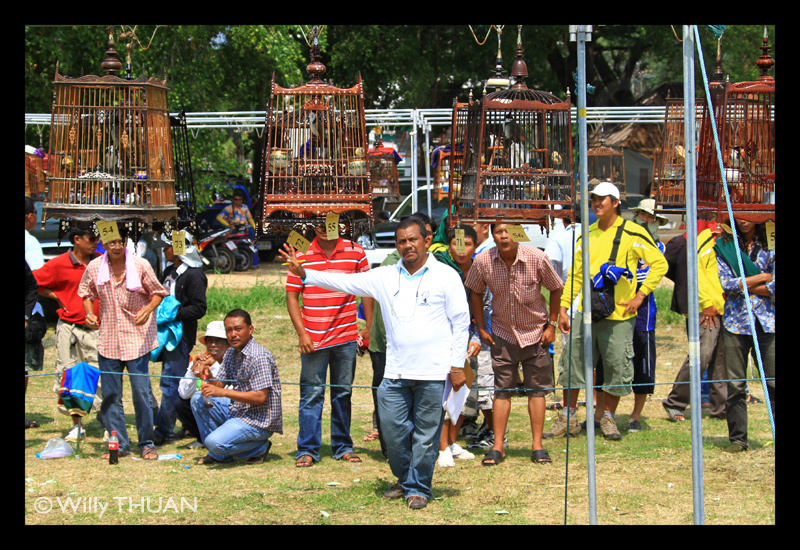 These tiny protected birds can cost a lot, more than 200,000 baht for the best performers, and competition entry is around 1 to 2,000 baht per bird with a top prize of up to 30,000 baht!Crowd of supporters and bird’s owners gather behind a rope some three meters away from high perched cages, a referee stands half way, and a judge is overlooking the whole competition from atop an elevated platform. 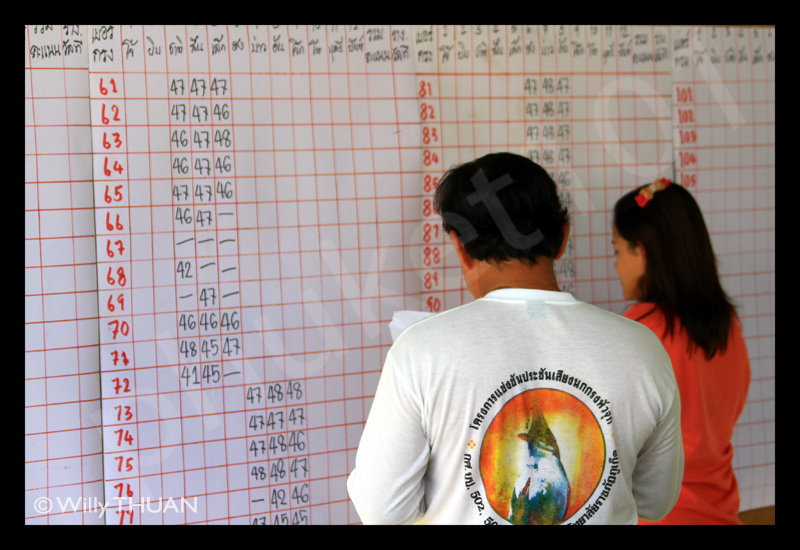 Staff keep a record of the scores on a giant board while police keeps an paternal eye on possible heated discussions. And heated it is! Have you ever been to a Muay Thai (Thai boxing) match? 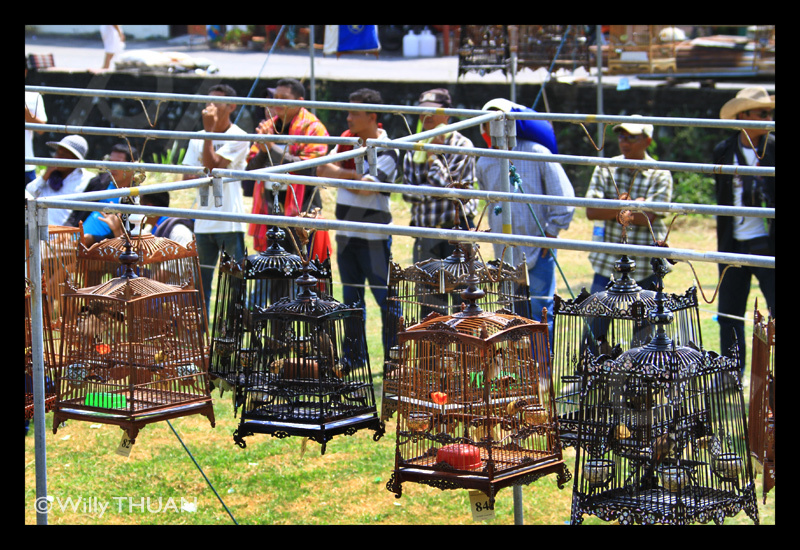 If you did, then you know how a bird singing competition sounds like.Owners loudly call their bird’s name, encouraging them to produce the right tones while, or do the right moves around the cage while the referee counts and point to the winners. 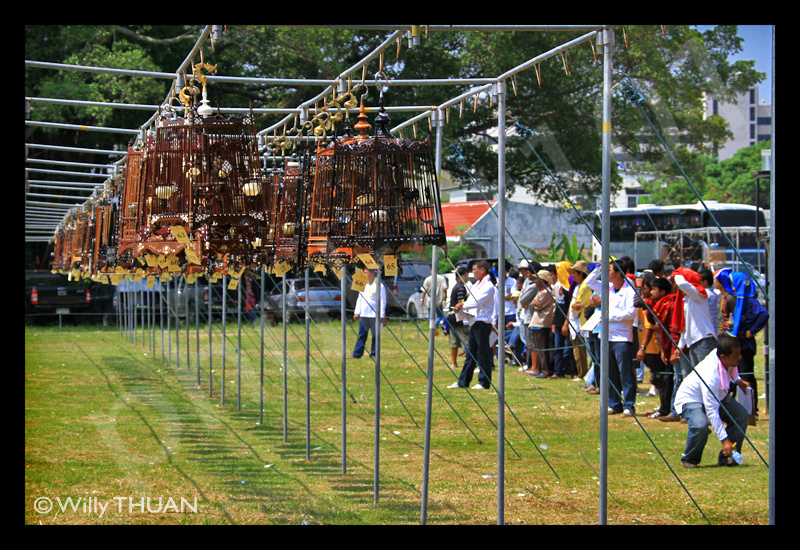 It’s really lively but also very surprising, I wonder how the birds can sing with so much activity and shouting around. Actually, thinking if it, after an hour, I realized that I couldn’t even remember how the bird’s song sounded like. This challenge consists of four rounds. in each round, the bird has 19 or 25 seconds to sing, and his song must have at least three trills and birds should sing at least eight time within the four rounds. 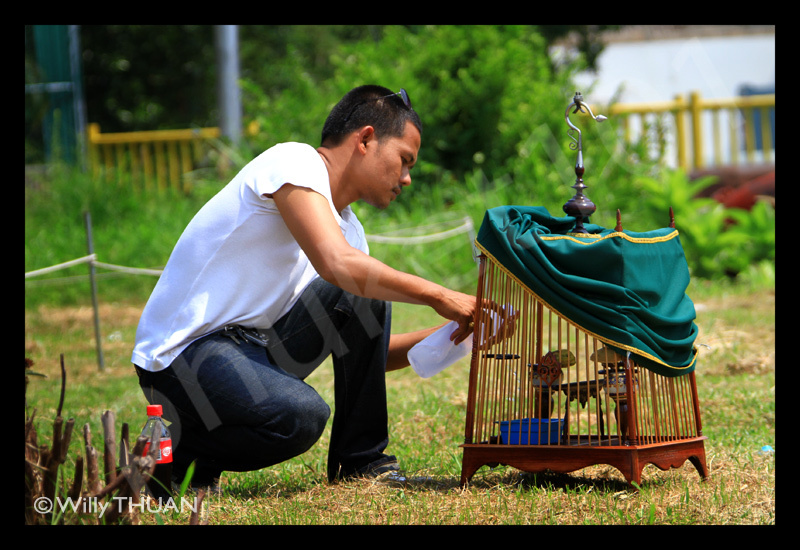 Here, the bird will be judged on his voice melody, quality, clarity, duration and modulation. 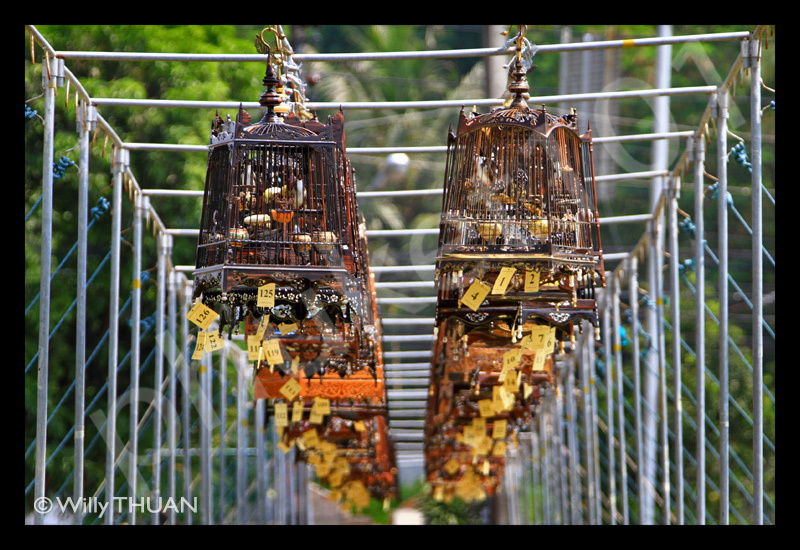 In addition, the way the bird jumps around the cage play a big role in the scoring. Birds are obviously judged based on their song tune and vocalization, or ‘phrase’. 25 points for the tune, and 25 points for the phrase. 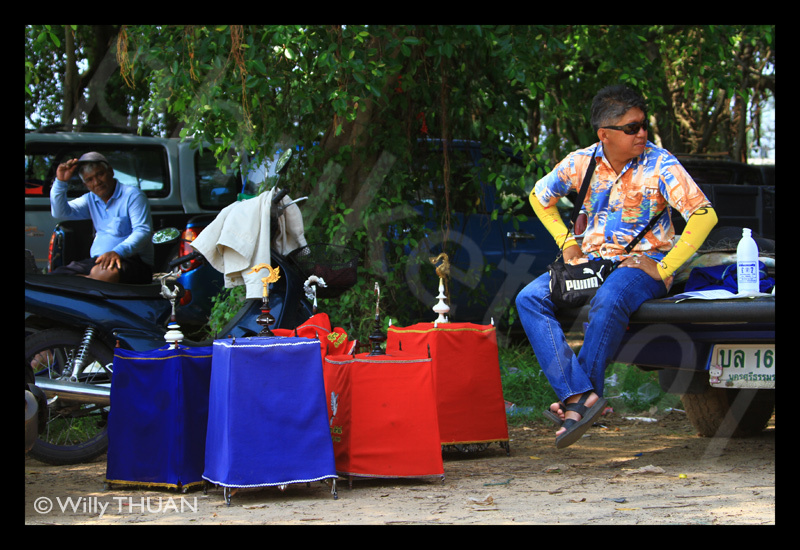 This part of the contest is often subjective and subject to heated discussion.